children’s mental health and wellbeing. 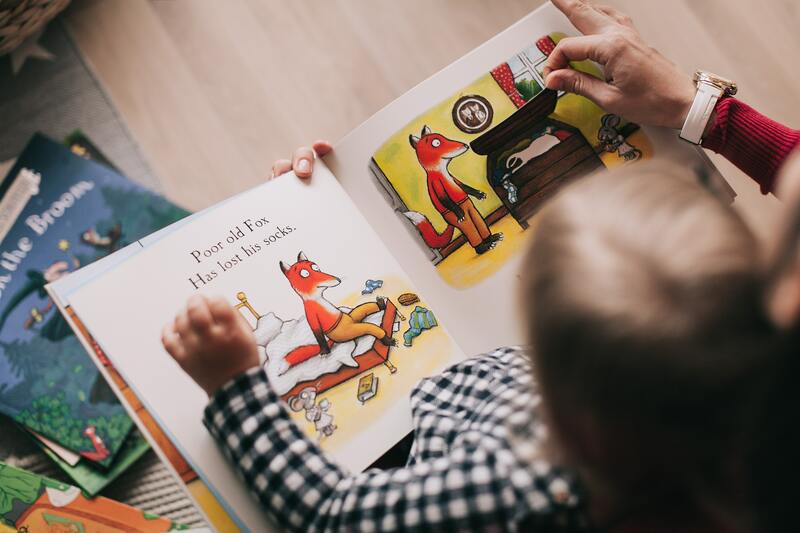 Secure emotional attachments between adults and children have been shown to be fundamental in supporting children’s ability to cope with stress, anxiety and difficult situations. Play also offers children huge opportunities to ‘try out’ or ‘test’ new or challenging situations – leading to increased confidence, self-esteem, resilience and well-being. Research into the role of play suggests that children’s natural playfulness allows for some crucially important functions to develop for healthy physical and mental well-being. The latest Play Matters briefing is now available. This briefing explores what play means to older children (pre-teen/teenagers) and highlights to parents that older children still need time and space to chill out, relax or ‘hang out with friends during their day. Spending time with young people is a great way for parents to stay connected with their child and included is a few tips and ideas for parents to consider. children of all ages outdoors. We just need to EMBRACE the weather! winter can be fun. Try to model ways to be playful. 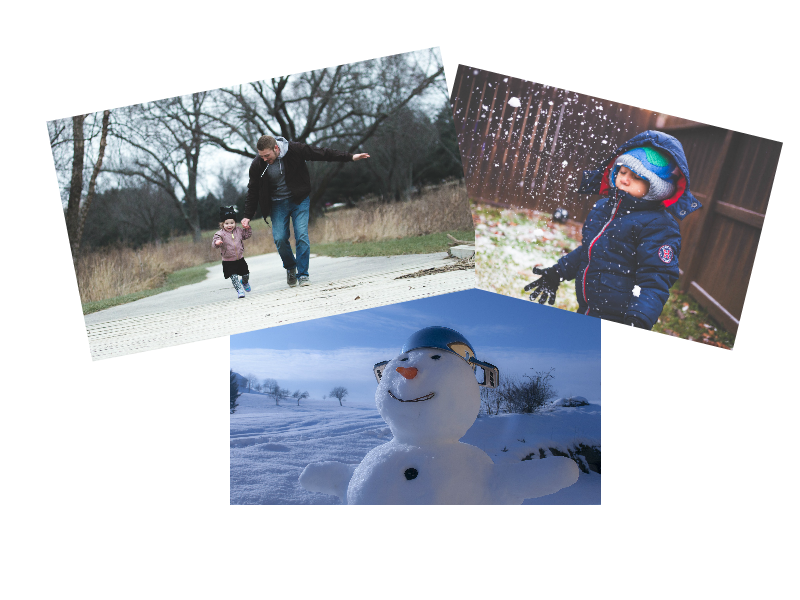 Stamp your feet on ice patches or in puddles, have a snowball fight, play in the rain, make snow angels or snowmen! 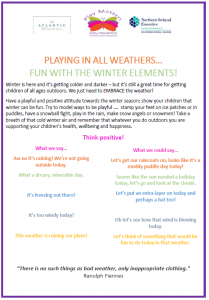 Take a breath of that cold winter air and remember that whatever you do outdoors you are supporting your children’s health, wellbeing and happiness. View the flyer below for more play ideas. The latest Play Matters briefing explores Play and Challenge. Children need the freedom to play how they choose and sometimes this includes taking risks and engaging in risky, challenging play. This briefing paper explores how we, as adults, can support children to test themselves and stretch their limits through play.